259 Marlborough is located on the north side of Marlborough, between Exeter and Fairfield, with 257 Marlborough to the east and 261 Marlborough to the west. 259 Marlborough was designed by Peabody and Stearns, architects, and built in 1884-1885 by Melville C. Grant, mason, and William Wood, carpenter, as the home of Dr. James Clarke White, a physician and professor of dermatology at Harvard Medical School, and his wife, Martha Anna (Ellis) White. He also maintained his medical office at the house. They previously had lived at 10 Park Square. On April 16, 1884, Martha Anna White purchased from William Simes the six inch strip of land to the east, including the western half of the party wall with 257 Marlborough, where William Simes and his wife, Fannie Swett (Newell) Simes, had recently completed their home. On June 23, 1884, Martha Anna White purchased from the Commonwealth the six inch strip of land to the west of where they were planning to build 259 Marlborough so that they could place half of the western party wall on it. Construction of 259 Marlborough probably began soon thereafter. In January of 1887, she sold the western six inch strip (with half of the party wall on it) to the owner of 261 Marlborough when that house was being built, thereby recouping half of her costs of building the wall. Click here for an index to the deeds for 259 Marlborough. Plans for the house are included in the Peabody and Stearns Collection in the Boston Public Library’s Arts Department (reference PS/MA.167). The plans refer to a June 2, 1884, contract for construction of the house. Dr. White’s medical office and waiting room were located in the front of the first floor. The remainder of the house was the Whites’ private residence, with the dining room at the rear of the first floor, parlor and library on the second floor, and bedroom chambers on the third and fourth floors, with a large billiard room at the rear of the fourth floor. A half story fifth floor (or attic) in the rear of the building provided servants’ rooms. As was usual with Back Bay houses, the kitchen, laundry, and various service rooms were in the basement. As designed, the front bow included four windows on the second and third floors (similar to Peabody and Stearns’s designs at 227 Commonwealth and 229 Commonwealth). The plans were changed, however, to reduce the number of windows to three. Click here to view the original plans for 259 Marlborough. By the 1885-1886 winter season, 259 Marlborough was completed and the Whites had made it their home. However, they did not take title to the land on which it was built until January 26, 1886, when Martha Anna White purchased it from the Commonwealth of Massachusetts. The land had been sold previously by the Commonwealth at a public auction and, presumably, either the Whites were the successful bidders or acquired the right to purchase the land from the successful bidder before beginning construction of their house. The Whites’ three sons – McDonald Ellis White, Charles James White, and Perrin Ellis White – lived with them at 259 Marlborough. Martha White died in July of 1888. James White continued to live (and maintain his medical office) at 259 Marlborough. 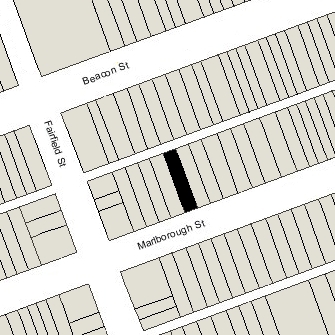 McDonald and Charles White continued to live at 259 Marlborough with their father. Perrin White appears to have moved in the mid-1880s. He married in October of 1890 to Caroline Louise Chapman; after their marriage, they lived in Riverside, California. Charles White married in June of 1893 to Olivia Alger Richardson. After their marriage, they lived at 259 Marlborough with his father. Like his father, Charles White was a physician specializing in dermatology and later a professor at Harvard Medical School; he maintained his office at 259 Marlborough. McDonald White married in January of 1895 to Elizabeth Frothingham (Safford) Hobbs, the widow of Marland Cogswell Hobbs. McDonald White was a manager with Houghton, Mifflin & Company, publishers. After their marriage, they lived in Salem. James White died in January of 1916. 359 Marlborough was inherited by McDonald, Charles, and Perrin White. On October 6/7, 1916, they all transferred their interests to Olivia White. Charles and Olivia White continued to live at 259 Marlborough. They also maintained a home at Holly Hill Farm in Cohasset. Their three children — James Clarke White, Ellen (Nell) Phelps White, and Richardson White — lived with them. James White married in July of 1917 to Camilla Leonard Morgan. They lived at 259 Marlborough with his parents while he served in the US Navy; by 1920 they had moved to 39 Chestnut. He would become a neurologist and Chief of Neurological Services at Massachusetts General Hospital. Richardson White married in September of 1928 to Cornelia Hallowell and they moved to Brookline. He was a sculptor, noted for his bronze horse statues, and later lived at and oversaw the family’s Holly Hill Farm in Cohasset. Ellen White married in July of 1929 to Charles Codman Cabot, a lawyer, and they moved to Brookline. Olivia White’s mother, Ellen (Phelps) Richardson, the widow of Thomas Francis Richardson, Jr., lived with them from the early 1920s. She died in January of 1926. Olivia White died in January of 1956. 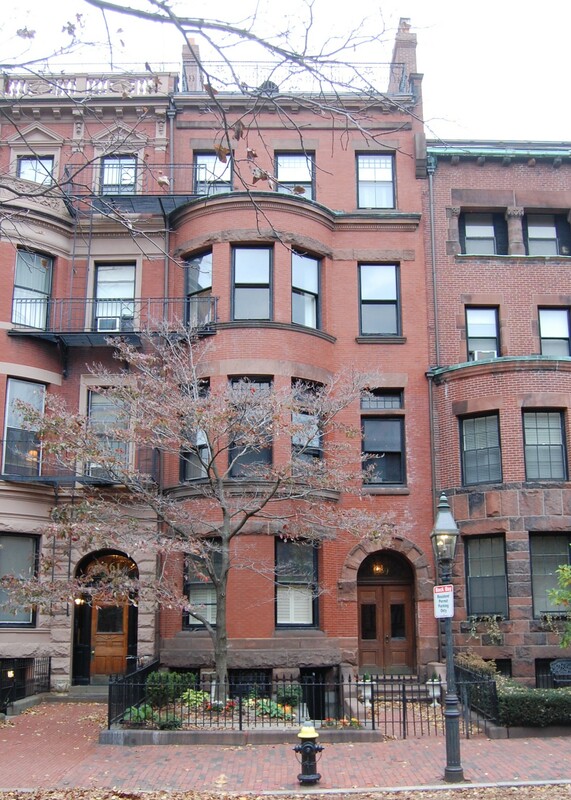 Charles White continued to live at 259 Marlborough until his death in March of 1964. On June 8, 1964, 259 Marlborough was purchased from Charles White’s estate by advertising executive John Garry Kasten and his wife, Mary (Boreyko) Kasten. They previously had lived at 115 Newbury. His advertising agency, J. G. Kasten & Company, was located at 14 Newbury, but moved in about 1965 to 353 Marlborough. The Kastens continued to live at 259 Marlborough until about 1969, when they moved to 353 Marlborough. On January 21, 1969, 259 Marlborough was purchased from the Kastens by Pierre Louis de Bourgknecht. Later that year, he also acquired 257 Marlborough and 261 Marlborough. In March of 1969, he applied for (and subsequently received) permission to convert 259 Marlborough from a single-family dwelling into seven apartments. In July of 1969, he applied for (and subsequently received) permission to cut an opening on the fourth floor between 261 and 259 Marlborough to provide access to the elevator at 259 Marlborough. On May 29, 1985, 259 Marlborough was purchased from Pierre de Bourgknecht by John T. Giles, trustee of the C. D. C. Pension Realty Trust. On the same day, he also purchased 261 Marlborough as trustee of the 261 Capitol Realty Trust. In July of 1985, Pierre de Bourgknecht sold 257 Marlborough to another purchaser. 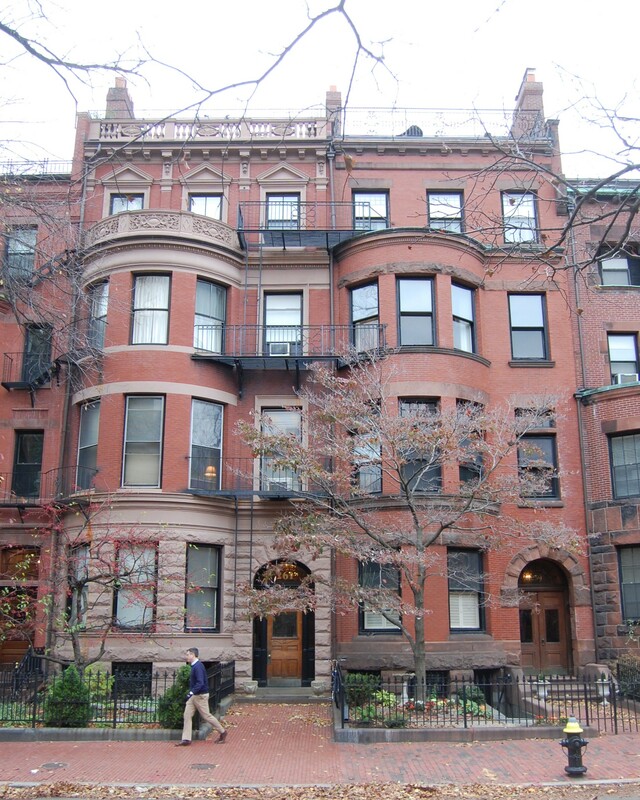 On the same day as he purchased 259 and 261 Marlborough, John Giles sold 259 Marlborough to Jerome T. Missel, trustee of the 259 Marlborough Street Realty Trust. He retained 261 Marlborough. 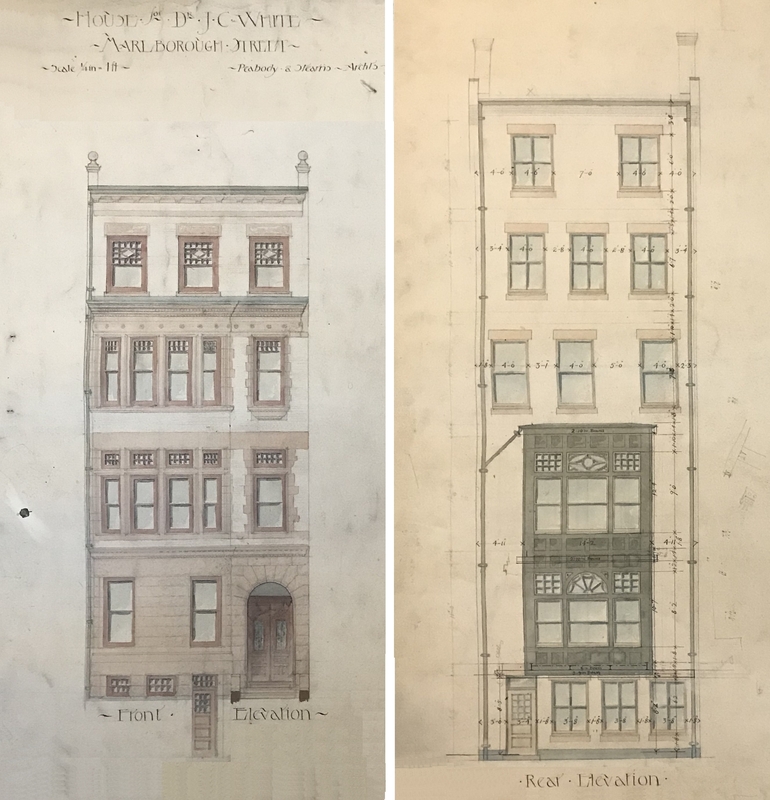 In February of 1986, Jerome Missel’s wife, Margaret M. (Peggy) Huddleston, applied for (and subsequently received) permission to construct a fifth floor addition by enclosing the existing roof deck and skylight. 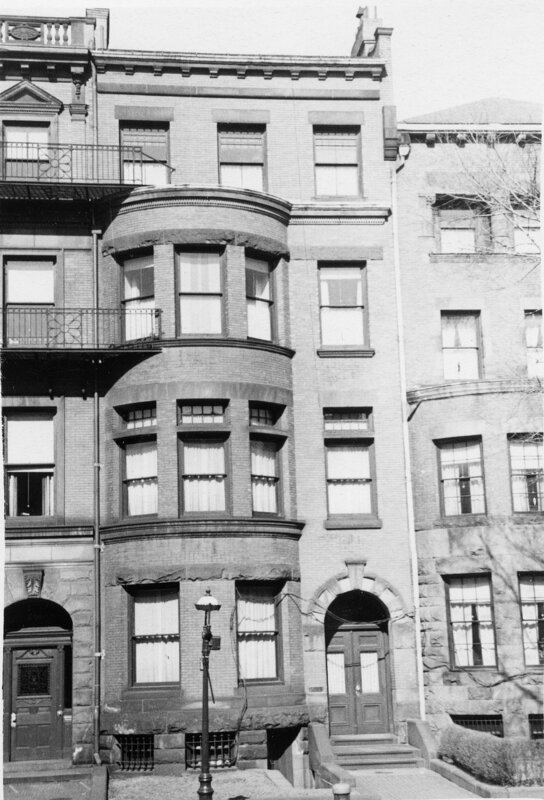 On February 12, 1986, Jerome Missel converted 259 Marlborough into seven condominium units, the 259 Marlborough St Condominium.